Banks, lenders, landlords and anyone who rents to or holds a mortgage for a servicemember should be keenly aware of the ins and outs of the Servicemembers Civil Relief Act. 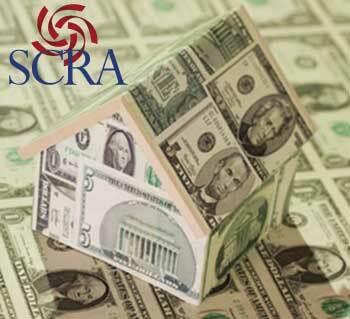 Real estate creditors must address SCRA guidelines before they take legal action. If they don’t, they risk fines, punishment and possibly imprisonment. The SCRA offers a host of protections to active-duty servicemembers. One of these safeguards them against eviction, be it from a rental property or their own home. The intent of the law is to allow deployed military personnel to concentrate on their service. The government doesn’t want servicemembers distracted by worries of financial matters at home. Whether it was ignorance of the law or an attempt to flout it, a real estate development and management company recently ended up with a bill from the Department of Justice for $200,000 for violating the SCRA when it evicted four active-duty servicemembers for nonpayment. An agreement with the DoJ requires the company to pay $35,000 to each evicted servicemember, plus $60,000 to the government in fines. This is the first time the DoJ sued a rental-property company over SCRA violations. However, it settled its lawsuit last year with five major banks that were facing charges of wrongfully foreclosing on and evicting servicemembers over unpaid mortgages. The banks agreed to pay, collectively, over $123 million in restitution to the evicted military personnel. If SCRA laws confuse some big banks and real estate companies, you may rest assured that the same goes for many smaller ones, as well as private citizens, too. Before filing suit or filing liens, you must determine the debtor’s status as a servicemember. Skipping this step can violate the law and may be costly. The SCRA requires creditors of delinquent servicemembers to obtain court orders before proceeding with any legal actions. In the case mentioned here, the DoJ said that not only did the company initiate and complete the eviction proceedings without the court order, but it failed to inform the court that the absent defendants were deployed servicemembers. Many courts will not allow an eviction to proceed when a defendant does not appear and the plaintiff offers no proof relative to his or her military status. But it is the plaintiff who pays the fine if the courts later discover that the defendant was deployed. For this reason, it is essential to determine any tenant or mortgagee’s military status before going forward. Military status verifications are usually easy to get and inexpensive. Government resources, like individual military branches or going to the DMDC, might waste valuable time. These resources cannot provide affidavits. A third-party agency can usually get the info you need, faster. If the debtor is in the service, the creditor must get a court order before proceeding with the eviction. Otherwise he or she risks incurring fines or penalties. The SCRA guidelines protect servicemembers from unfair and callous legal actions. However, the law does not absolve servicemembers from paying their debts. Proceeding in accordance with the SCRA guidelines protects both the plaintiffs and the defendants and ensures a more orderly process.